Last year, Forbes published an article about the rise of digital nomads, portraying how young professionals from all around the globe started freelancing and adopting location-independent approach as more works have gone online. Some small companies, especially in technology and creative industry, have also moved their team and operations to a paradise location; simply because these days, it has been made possible. In 2015, Barcelona records the third highest number of freelancers in Europe. 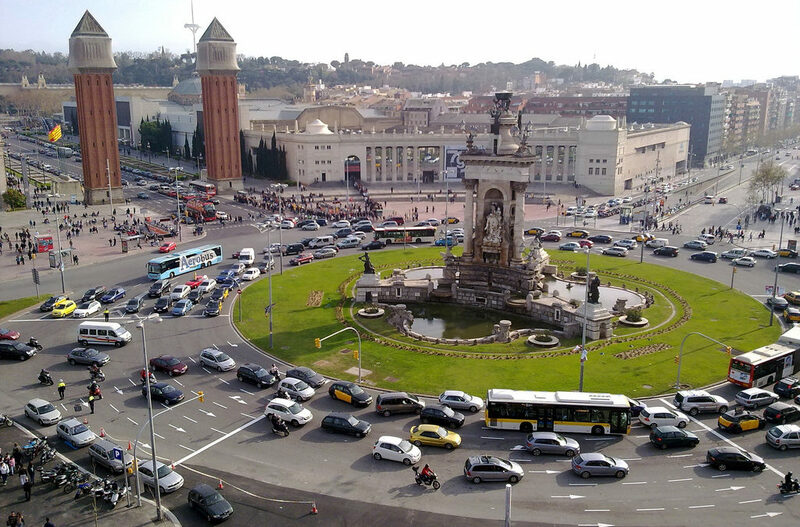 Barcelona also attracted digital nomads for several reasons, but the primary ones are connections (up to 300 Mbps with the new fiberglass), climate (the sun, the beach and the countryside have always been associated with paradise), and contacts (more than 100 co-working space and rapidly growing startup scene). Co-working space is an office space that can be used by digital nomads on a membership basis, either hourly, daily, weekly, or monthly. It doesn’t require a huge space. The essentials are a lot of electric plugs, fast and reliable wifi connection, working desk and chairs, restroom, small meeting or conference room, downtime area, and a small pantry where people can get some tea or coffee. Tips: To get more exposure for your co-working space, make sure that you position it to a certain crowd, i.e. co-working space for developers, creative and copywriters, women entrepreneurs, online marketers, coaches and mentors, etc. Housing is another necessity for digital nomads working from Barcelona. Most digital nomads would love to rent a house and have other digital nomads as flat mates. Co-housing and workation have become another trend, where a group of location-independent professionals decided to live and work together for a certain period of time and share a house. The essentials (despite bedrooms, restrooms, and pantry) are a reliable Internet connection and plenty of electric plugs. Tips: Rent your co-housing space to a co-working space instead of to the digital nomads. Negotiate a deal, as the co-working space will always have members who need housing and can include co-housing in their membership package. Digital nomads are hungry for connections and creative stimulations. They are not only doing ‘the work’, but most of the times, they are also looking for bursts of inspiration and working on multiple passion projects. Attending talks, workshops, or pop-up markets as well as launching services or selling sustainable products are some of the things they look forward to. An event and exhibition space doesn’t have to be huge, it only needs to be designed in a way that can cater around 50-100 standing audience comfortably at one time. The essentials are reliable Internet connection, good sound system, empty walls for overhead projector, and good lighting. Tips: Negotiate a deal with various co-working spaces in Barcelona for their members to use up your event & exhibition space either for seminars, conferences, pop-up markets, or even a temporary concept store. At DNX Global last year, seasoned start-up founder and author Peter Lievel presented that there will be 1 billion digital nomads in 2035. The opportunities are swelling, supported by the growth of online jobs and businesses, the sophistication of location-independent communication platforms, as well as the increasing availability of cheaper and faster flights internationally. If you are interested in tapping into this opportunity and thinking about repurposing your property in Barcelona for digital nomads, our consultants would be pleased to advise you on the necessary details.